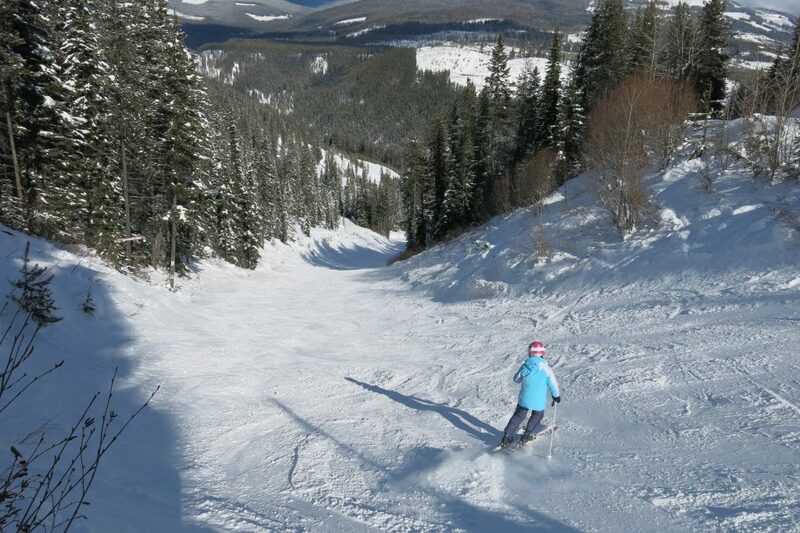 Kimberley is a family-style ski area located in a former mining town. It wasn’t originally on our list, but we had to add it after we discovered that this type of area is often preferable to us over some of the larger more well-known areas. It’s in the relatively less mountainous area between the Purcell and Rocky Mountains in southeastern BC. 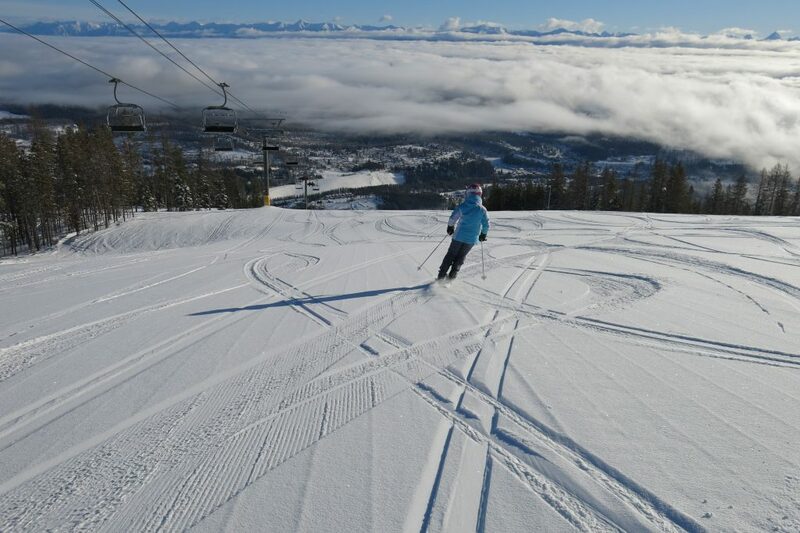 It was a good year to ski Kimberley. 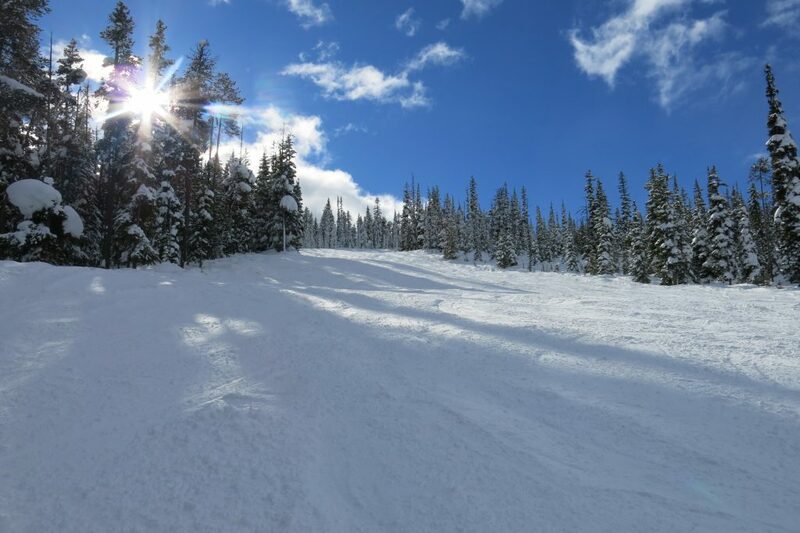 The average snowfall of 150″ is near the bottom of our list, but they had received about twice the average when we visited in 2018, and the conditions were really great. It snowed 4″ the night before our ski day which made it even better. Our hotel was right at the base of the main lift and we were able to just walk out and load the lift in the morning. That’s one of the advantages of a smaller place like this — the cost of lodging is much more affordable so our lodging location tends to be better. We took a couple of runs on the main lift which is the only high-speed quad there before we joined the mountain tour. As usual, our guide was a local who knew every in and out of the mountain and had lived there for decades. He wasn’t allowed to take us down the advanced terrain, but he showed us how to get to the really good stuff later. The main lift serves Northstar mountain which is pretty flat. We didn’t find much that was very interesting there, but that’s where most of the families skiing together will go. 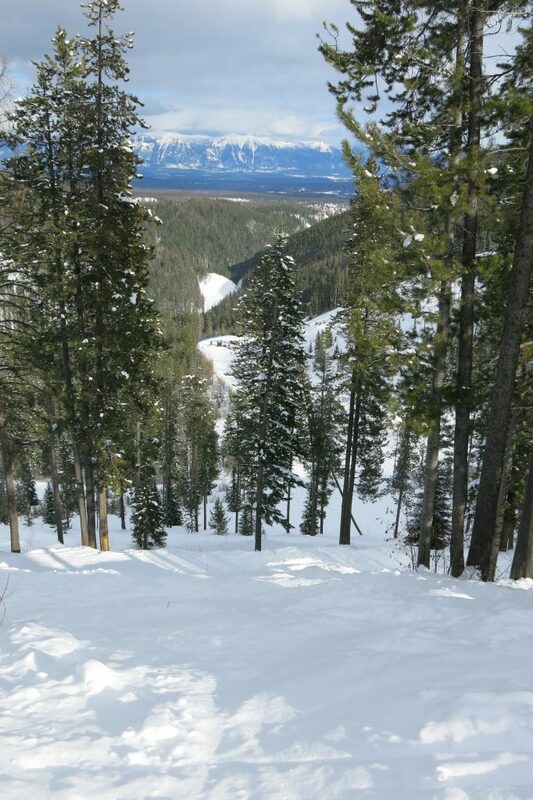 Long rolling blue and green runs are perfect for low intermediates. Ironically this is also where the only double-black terrain is on a small section at the bottom. We ended up skiing all of those and the only one that is really very challenging is Robinson’s Ridge which has fairly tight glades. So with only those limited options for steep, real challenge is lacking at Kimberley. 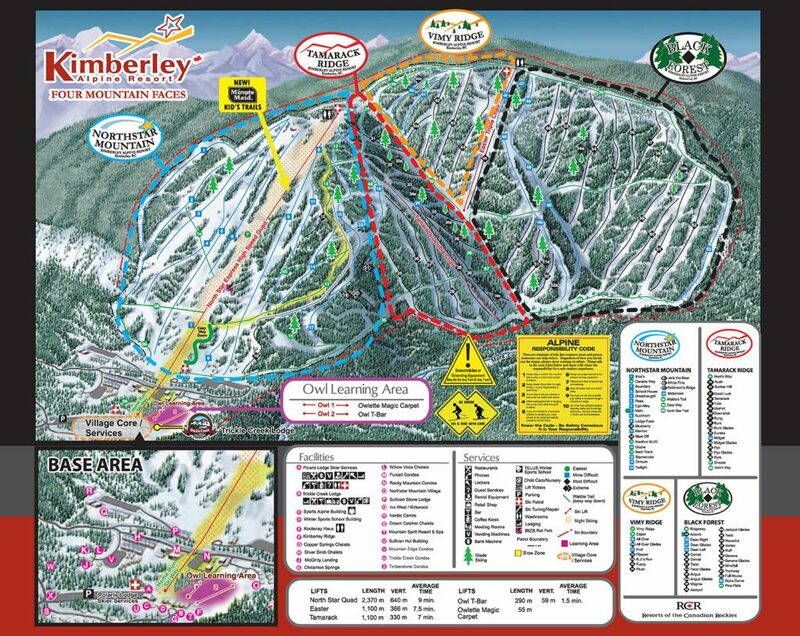 The other 2 main lifts are farther to the north and that is where the good terrain is. That is a varied collection of blue and black runs with a little of everything. 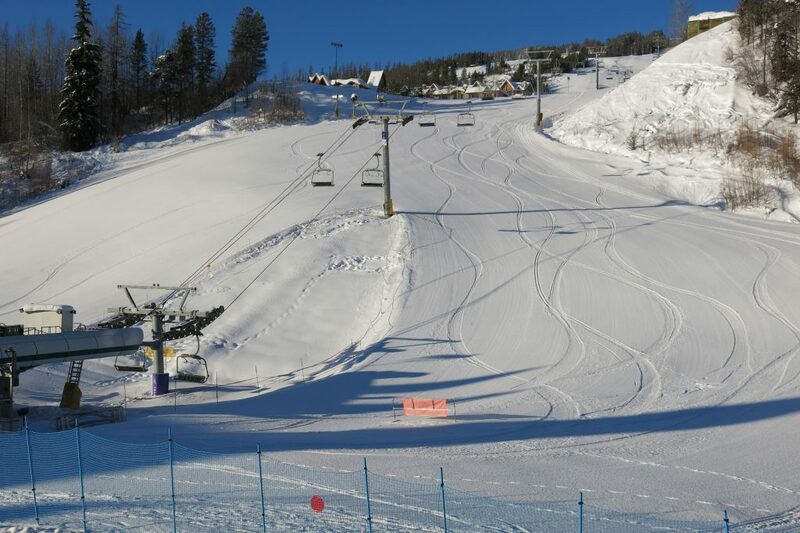 We particularly liked the runs dropping down off of Ridgeway in the Black Forest section which were bumpy with soft snow and the 2 “Dean’s” runs which were long rolling blues groomed to perfection. The problem there is that in order to ski those runs top to bottom you have to take 2 lifts and ski from one ridge back to the base of the next lift half way up the other. 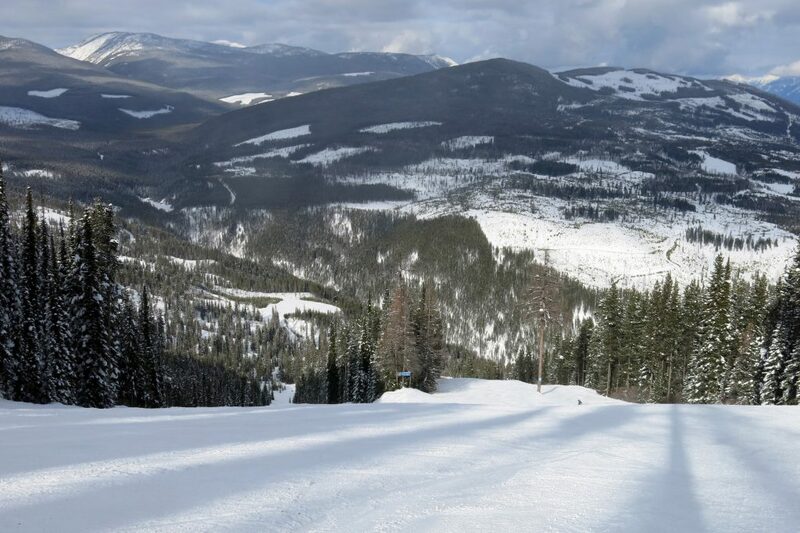 The overall experience would be so much better if they could put in a single high-speed lift from the base of Tamarack to the top of Easter. Along with that should go more grooming. 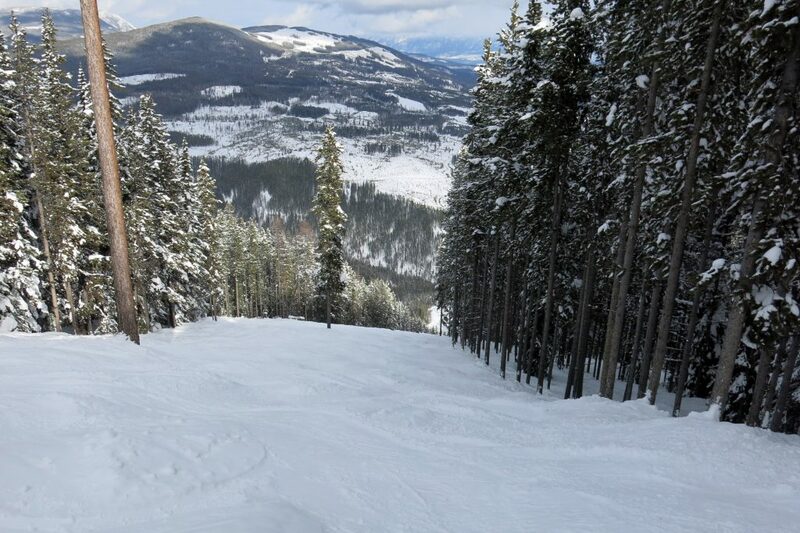 About 50% of Northstar was groomed, but only a few runs on the steeper terrain was. The terrain there is never too steep to groom so they could really turn it into something special while still leaving enough bumps and soft snow for people that want that. Hardly anyone was skiing off the groomed so the few groomed runs had most of the skier traffic. This is an RCR resort and we found out that they only have 2 grooming machines and one had broken down some time back and it was still waiting to get fixed for some reason. This is really unacceptable given how important grooming is in today’s skiing culture, but it’s a symptom of the cost-cutting and poor management we saw at all RCR resorts unfortunately. 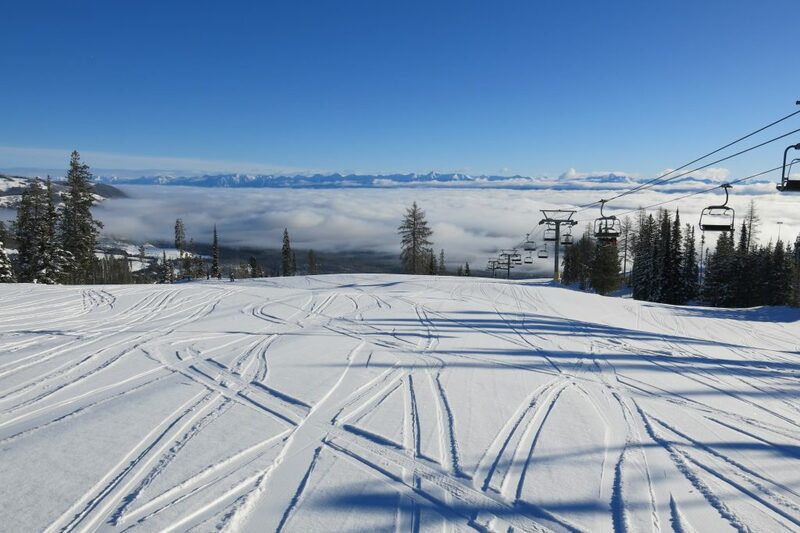 Of course resort ownership and management is usually measured in years instead of decades for ski resorts these days, so don’t let that scare you away because it will probably change in the next few years. There is a loose set of condos and hotels at the base but no real village, so the base area feels a little incomplete. As far as we could tell there are only 2 restaurants and they are both at the base in lodging properties. We didn’t see any on-mountain restaurants or day lodges at all. The one building at the top of Northstar Mountain was closed. There are 2 sets of outhouses on the mountain at 2 different summit locations, but that’s it. 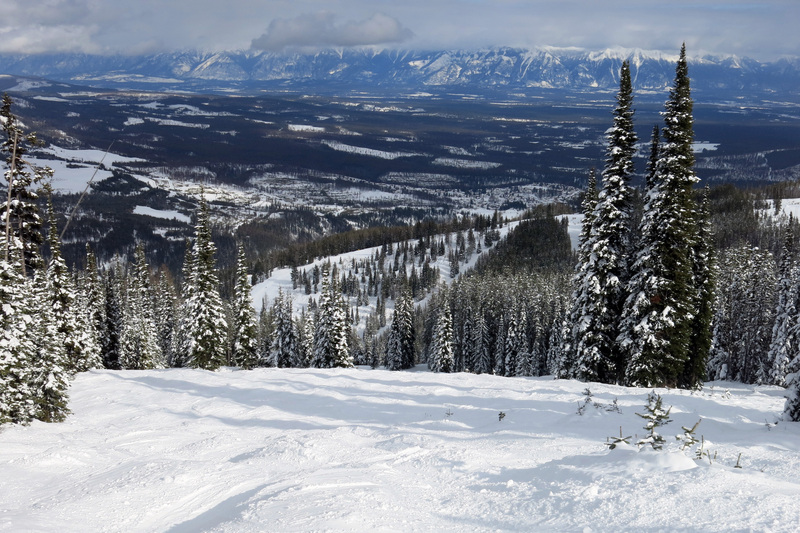 Kimberley actually has a great mix of varied terrain that is fun for a day, but it’s going to be best for families on a budget and groups of skiers with a mix of abilities. 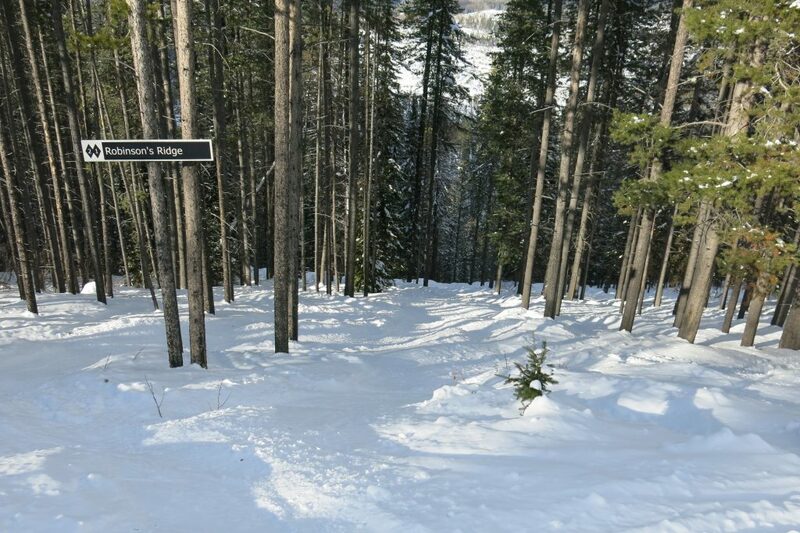 With some improvements it could rank higher but there is far better skiing fairly close by at Fernie or Panorama. It’s difficult to give it only 2 stars because it could easily be a 3-star resort on our scale if there was a better lift layout (easily fixed), more grooming, and an on-mountain lodge.